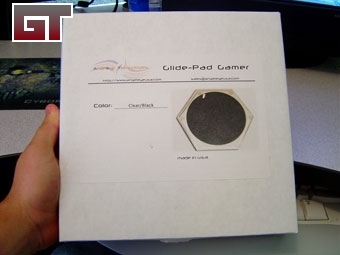 Today we will be taking a look at the Glide-Pad Gamer mouse pad from AngelEye Technologies. With a well-anchored acrylic base and a textured surface this might well be the answer to many gamers problems. The pad came in a plain white box, with a sticker denoting the color and style. 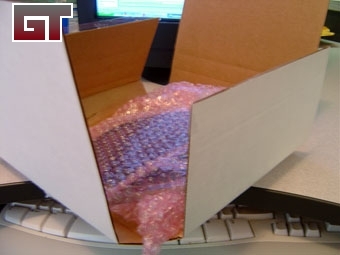 The "box" is actually a flat piece of cardboard that has been cut up and folded. 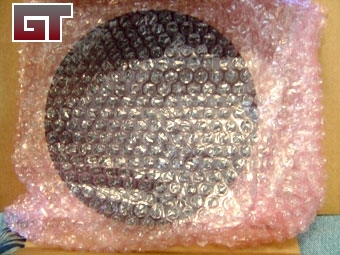 The pad itself is wrapped in a bubble wrap sleeve. The pad itself is pretty durable, so I do not foresee a problem with breakage in shipping.